There's been a multitude of relationships on Grey's Anatomy, but only a few have blossomed into marriages. Below is a listing of our favorite 7 weddings and marriages from the first 10 seasons! 1. Meredith Grey & Derek Shepherd - We loved it when Meredith and Derek gave up their wedding for Alex and Izzie and had the post-it wedding instead. Derek and Meredith have been together through the hard times and the good. 2. Izzie Stevens & Alex Karev - It was such a touching moment when Alex and Izzie got married. Izzie spent all of her time in the hospital planning MerDer wedding, but when she started to take a turn for the worse, Derek and Meredith decided to give Izzie and Alex their ceremony. 3. Callie Torres & Arizona Robbins - Do you remember Bailey officiating Callie & Arizona's wedding because the minister fell ill? 5. 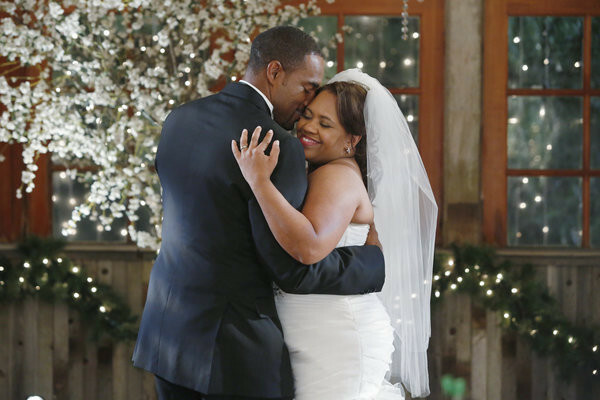 Miranda Bailey & Ben Warren – Right before her ceremony, Miranda was pulled away to operate on Adele. No need to fear, Ben understood and waited while Bailey tried to save Richard's wife. The best thing about having a spouse is having someone there for you when times get tough! 6. 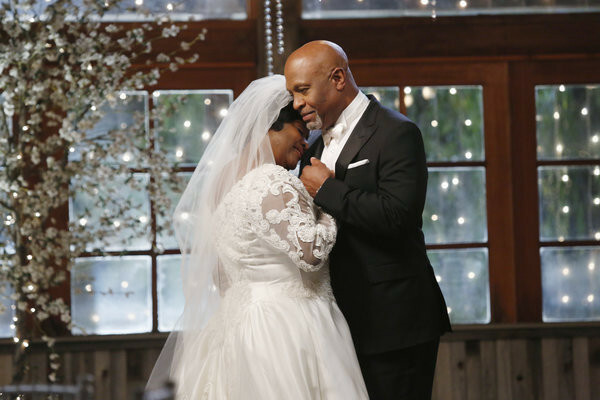 Richard & Adele Webber - We never actually saw Richard marry Adele, but Richard remembering his first dance with Adele as a married couple during Bailey's wedding was a tearjerker to say the least. 7. Cristina Yang & Owen Hunt – After the shooting, Cristina and Owen decided to get married. She wouldn't wear white though. Cristina though it was “sexist and vaguely racist."